It’s important for every Muslim to know the essentials of Islam and I was really excited to see SeekersHub launching this course. I’m looking forward to taking part in the course, below is more information and I hope you sign up too. 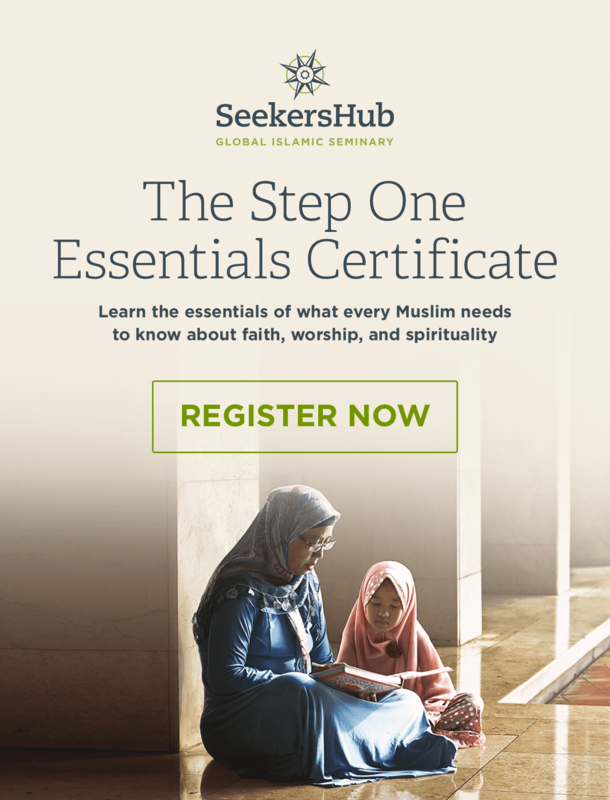 The Step One Essentials Certificate focuses on the religious knowledge that every Muslim must learn in order to fulfil their personal obligations to Allah Most High. This gives you a clear grounding in your beliefs, worship, living the religion, in your spiritual turning to Allah Most High, as well as a clear understanding of the Islamic scholarly method. The essential first step for any seeker of knowledge. The entire certificate can be completed in just over a year, with only a few hours per week of study. The courses are taught by qualified, mainstream Islamic scholars who are authorized to teach the Islamic sciences so you can be confident in what you’re learning. It’s 100% free of charge and you can register here. Classes start tomorrow. WHAT IS THE GLOBAL ISLAMIC SEMINARY? SeekersHub’s Global Islamic Seminary offers a full traditional curriculum of online courses using the same texts that have been taught for centuries at mainstream Islamic seminaries. Courses are taught by experienced and qualified scholars who take students step-by-step from the absolute essentials of religious learning to scholarship in the traditional Islamic sciences. All courses are 100% free of charge.